Fibromyalgia – Infinite Sadness… or hope? It goes round and round. Each time the circle escalates and the effects grow more. Oh, and add in depression. I have one month to find somewhere else to live. At that time, the repairs to earthquake damage to my home will finally begin. Don’t get me wrong. Because I’ve been waiting nearly five years, I am happy that they are finally about to start. Very happy. The repairs will take approximately six months. The biggest stress right now is that I hope my insurance company are going to help with the costs of shifting and somewhere to live. But they won’t tell me how they will help (I mean specifics beyond what the policy document says) until the insurance company doing the repairs provide a specific completion date. I’m waiting. And I understand because they can’t finalise exactly how long the work will take until they lift up the floor and see just how bad things are down there. Meantime though, what my insurance company want is a best estimate. The reason that’s the biggest stress for me right now is because I can’t find somewhere to live until I know what assistance I’m getting. You see I expect to have to pay three to four times what I am currently paying in rent. Yes, three to four times! And that is more than I get in income each week. I REALLY need my insurance. My current rent is low, thanks to my family who own the property. But equally rents in Christchurch have skyrocketed since the quakes because of demand for housing, and a little bit (that’s generous!) because many landlords have been mean and taken advantage of the situation. The Government keeps reporting that rents are coming down again, but not when you look at what is advertised. Rent is still really steep. The demand for rentals is not as great as it was maybe two to three years ago. Repairs are getting completed and homeowners are moving home. But it’s still not going to be easy. So there is plenty of stress in my life, and the vicious circle kicks in because, for me, stress is the biggest trigger to fibromyalgia symptoms. Stress equals pain. And pain equals stress because pain means I can get less done. And when pain goes on, increasing stress, then I start to get depressed. Or more accurately, more depressed. Oh, and add in fatigue… and an unhealthy amount of brain function. In other words I can hardly function at all and I’m hardly likely to come over as a great budding tenant to an agent or landlord. This week I have been in a lot of pain all week (it’s Thursday here). I have rated my pain as “being able to leave the house several times a week. Moderate to severe symptoms much of the time. Able to do about 2 hours a day of work at home or activity like housework, shopping and using the computer“. I have limited activity to visiting my mother (she has Alzheimer’s and doesn’t really understand why I can’t visit her). I don’t know for sure but I suspect an Alzheimer’s patient works on the way many people choose to view Invisible illness. S/he can’t see it so it doesn’t exist. Maybe that’s a bit harsh, but I think it’s something like that. Certainly there is little understanding. From Mum’s perspective, I get it. Some others, I’m not so charitable. Of course, Mum’s illness simply adds to my stress. Today I decided to say “no” and not visit her. I wondered whether by keeping up the daily visits, whether I was exacerbating my own illness. Instead of focusing on the negative, the positive is that by mapping out that vicious circle I actually remind myself what is going on. Better yet, maybe I can stop it all winding up just through awareness. I know for myself that if I can limit the flow of stress then I can limit the onset of pain and depression. And that will make for a happier Cate. Anything for that! PS. By the way, do you remember Lucy? Lucy is my music hallucinations, and she continues. This week she is louder and more invasive than ever. I’m starting to think that Lucy is also affected by stress. This is my latest post for A Canvas Of The Minds. It was posted yesterday. I apologise for my lateness in sharing. Why Can’t I Have Both? It’s been a while… I know. It’s just on two months since I disappeared off the blogging trail. No explanation, just not there. My apologies for the ‘no explanation’, but it just had to be. The short story is that I came to a point where it was necessary for me to question whether my participation in the blogosphere was helping or hurting me. Was I getting out of blogging what was good for me, or was it actually causing pain? Ideally it would be great to say my participation couldn’t possibly be hurting me, but that’s simply not true. I have yet to resolve the issue in my mind, and so in the meantime I will only be posting sporadically, when something is weighing particularly heavy on my mind. I admit too, that pulling back in my participation has also included cutting back on how much I have been reading others’ posts. That has simply been too hard, particularly with writing comments. But I do still have a desire to support the blogs I follow and I will be back eventually. Meanwhile, a dilemma falls before me. It’s not one that is new to me, but perhaps this time it is a bigger issue because of the consequences involved. Two options are before me and I wish so much that I could have both. Unfortunately it doesn’t always work that way and particularly in the issue of mental health versus physical health. So often it seems the option is one or the other. Why can’t I have both? This past week I finally got in to see a Pain Specialist to consider how best to treat my Fibromyalgia. I’ve been waiting for this for several years now, so it was so great to finally be there. Regular readers will be pleased to know that I also finally changed my doctor (General Practitioner) a few weeks back. That, and seeing the Pain Specialist has finally given me some hope that treatment is possible. Unfortunately though, it looks like it might come with a cost. The Pain Specialist has recommended a medication for me to try, which if it works for me, could turn my life around in terms of the pain and fatigue that I have on a daily basis. What the medication recommended isn’t important to this post as the last thing I want to do is get into a conversation of ‘what works for who‘. I don’t see the point in that simply because we all respond to medication differently. It was not possible for me to start on the medication straight away as it was necessary to get funding approved from the New Zealand health system. The hope was that by the end of next week I would be able to start. It would take some weeks to get to optimum dose and so to work out if it was effective. It was all sounding great, until I came home and did my own research on the drug. I am particularly careful to read up on medication I intend to start on because of firstly adverse interactions with other medication but also because of those lovely side effects we all dread. I know that this is not the first, or only, medication that has these possible side effects. There is the well-known anti-smoking medication which I have always said I would never risk taking because of the possibility of suicidal thoughts. Then there are of course, many anti-depressants and other medications for mental illnesses which have similar risk. I know that. I don’t like it. I think it is crazy, but I know that’s the pharmaceutical world we live in. What bothers me is that I am stuck between a rock and a hard place. Yes, these are possible side effects and might not happen but I have to be prepared for their possibility. For just a few hours, from leaving the Pain Specialist to getting home and doing my own research, I had some hope for the possible end of my pain (or at least significant reduction). I started to think about being able to get back to work, and was even mentally rewriting my out-of-date CV. This drug offered me hope… but at the expense of my mental health. Do I restore my physical health while risking my mental stability? Or do I say no to the drug, continue to be limited in my physical health, but be sure my mental health is maintained (at whatever level it is currently at). This is a really hard one. Yesterday I was by chance reading Lulu’s post on her blog Sunny with a Chance of Armageddon on a similar issue she was facing. Which do we preserve? Mental health or Physical Health? It seems that this is a common dilemma we face when we have mental illness, and I’m coming to the conclusion that we each have to make our own decision. For each, it will be different. Personally, while I haven’t reached a decision on my dilemma, my inclination right now is to preserve my mental health (which would practically mean avoiding this particular medication). While my mental health is relatively stable now days, I continue to struggle. I have been at the bottom of the pit in terms of mental illness. Years of hospitalisation, heavy medication, ECT and the many harmful things I did to myself including suicide attempts. I had suicidal thinking for a very long time. I have no desire to go back there. I suspect I would find it difficult to crawl out of the pit again. Do I try for stable physical health? Or stable mental health? I hate the way my life is dominated with pain right now, but perhaps surprisingly, I think I would rather have that physical pain than to go back through the mental pain I lived with, the worst of which was through the late 1990’s. On Tuesday I will see my (new) doctor and talk to him. Maybe I’ll find the cash and go see my rather expensive psychiatrist too. The problem for me is that while my medical notes are full of mental illness, none of the doctors involved knew me at the worst of my mental struggles. They haven’t seen that Cate. They don’t know how bad it can get for me. I do. There are no guarantees in this game. I could have no side effects and get good pain results too. It just might not happen… but I’m not a lottery player and even so, I just don’t like my odds. But forget about my dilemma for a moment… what would you do? Maybe you’ve already faced this issue. How did you deal with it? There are some things which are obvious about chronic illness, although admittedly when it is an invisible illness even those obvious things are hard to see and be aware of. I don’t mean for this post to be a ‘moaning Maggie‘ post, so forgive me if you think I am heading there. But this is on my mind. With most posts I publish it is my desire that people read them (ok, I’m stating the obvious), but this time I admit that the shame involved in posting leaves me with mixed feelings. Yes, I want you to read but yes, I am ashamed of what I say. I read awhile ago that Fibromyalgia doesn’t kill you but you just keep getting sicker. I don’t know if that is true, or another internet rumour, but this past year certainly seems to have been worse than before. I feel a bit like fibro has become just one long line of flare symptoms, with little or no break. My head seems in a permanent fog. On Tuesday I have a small army of people coming through my house to do yet another assessment of earthquake damage left from 2010/11. Yes, you’re quite right. That was a long time ago but recovery takes… forever it seems. They always promise ‘minimal disruption‘ but around ten people going over (and under and through) the house with a fine tooth comb is not ‘minimal disruption‘. That’s ok though as I am just happy that someone is doing something. Maybe one day there will be a decision on just what to do with my poor home. From many of these assessments before, I am fully aware that they will see everything… including the fact that my house is not just untidy, but also unclean. And yes, it’s got to that stage where it’s plainly obvious. I am ashamed at the state of the place, but it has become like that simply because my fibro has been bad enough to prevent me from doing housework. I also know , like a promised added extra, that when I actually get to cleaning it is likely to land me in bed for a week, simply from the effort involved. So why am I telling you about my shameful dirty house? Because if you looked at me you wouldn’t see a reason why I couldn’t have kept on top of it. I look healthy. I look able. I look like there is nothing wrong with me. Yet I can’t keep up with what is simply a small two bedroom house with only one person to mess it up. I don’t have a lot of people come to my house usually. I admit to being somewhat of a hermit. I have no idea of what judgements those who have been here lately will have made of me. There is always silence. And uncomfortable silence where you wish to god that they would just say something. Right now I am very aware of the judgements that this army of people might make on Tuesday. Yet there is very little I can do about it. I can hardly stop them at the door and say “BTW excuse the mess, I have fibro“. I really don’t think they will care for excuses. You see, I look fine and so the judgement will be made that I am fine, but lazy. That old adage “don’t judge a book by its cover” applies in so many ways. If you walk into someone’s house and notice it is unclean and untidy, stop to think that there may be a reason. Most of us don’t choose to live in such a state, but some of us find ourselves having to. You see, apart from when ten people are about to come through my house, I can kind of overlook the state of my home. I don’t like it, and I would love for it not to be the reality, but my priorities are largely my health and my mother’s welfare. After those, if I have no wellness and energy to deal with housework, it simply has to be as it is. I’m learning to live with it, even though I will probably never like it. It’s not just chronic physical illness that can prevent us from staying on top of such mundane tasks. Mental illness can too. Certainly for some people with mental illness, they can find it therapeutic to do those things but for others, it is simply too much. For some, their illness can be affected by the state of their home, but for others illness almost keeps us from seeing the obvious. Actually I have no difficulty in seeing the obvious today. We need to find ways of being kind to ourselves. I could choose to beat myself up about what I can’t do right now. It would make sense as more than likely I am going to be judged by it shortly. But this time I’m trying not to get stressed. If cleaning happens, it happens… and I’ll probably spend the rest of the week in bed. If I can’t do it, so be it. It won’t be the end of my world. And now comes the big question… do I publish or not? This is, afterall a post about housework and my unclean house. Can I swallow the pill of shame in order to say out loud that this happens. It’s real. Actually I bet it’s real for many more than just me. Maybe it’s not the housework. Maybe it’s some other mundane reality of chronic illness. We can talk about the illness, but there’s more to it than just symptoms. There are all the realities of just keeping life going. The best we can do for each other is to be real about them. Who’s Going To Look After Me? Who’s going to look after me? Well, I guess that’s Me! I live on my own and have done so for a while now. Actually to many people’s surprise, I like it that way. And I’ve learnt how to look after me, simply because there is no one else who is going to do it. That means that I know how to do many things that others assume need two people. Chronic illness (and low income) mean I know how to fend for myself with whatever is in the house, and whatever is missing. Sure, sometimes it would be nice to have someone look after me, but I don’t need it. And that is a huge advantage in my life as it is right now. Today was one of those days where I woke up immediately knowing that fibromyalgia was here for a visit. With an anthem of Beethoven’s Ode to Joy ringing in my ears (thanks to the still ever-present music hallucinations) I can’t say I was overly enthused about the day. Played once is lovely but when it’s gone on repetitively for about 30 times, any music turns to beyond ugly. Add to that, a feeling around my head that brain fog was back (oh yay!) and my body feeling the presence of a hundred rocks and shards of broken glass. Nothing was looking good, although I don’t want to misrepresent things. There are plenty of days which are worse, I just knew that today I needed to rest. Otherwise bad would probably become worse. As usual there were things that weren’t going to happen. Perhaps most important (to J anyway) was that I wasn’t going to get my nephew’s birthday present wrapped and posted in time for his birthday on Saturday. Sorry J. And the usual support I give to another human being most days, was also not going to happen. She’s used to this. She doesn’t necessarily understand the existence of chronic illness in my life but she knows the consequences for her. And that’s what matters in her world. Those are really hard questions to answer, especially when you’ve had almost a lifetime of wonky learning that I have had to re-learn for myself with many hours of therapy and self-talk. I should stick in right here that actually there wasn’t necessarily anything wrong with the teaching I got. It simply wasn’t detailed enough. You see I learnt half the message, and more often than not, failed to get the important part. While I don’t have children and so I don’t know a whole heap about teaching them, it strikes me that many times something I needed to learn as a child was simplified so much that I entirely missed the point. I’m not blaming anyone for this. It just happened. I missed the point so many times, but I know many children taught the same lesson, got it. Maybe I just learn differently. Maybe I just needed more specifics. Maybe… anything. It’s simply that what I got in the way of teaching didn’t work for me. One of the things I learnt, rightly or wrongly, was to put other people ahead of myself. My lessons with Christian based and there is plenty in the Bible that I could misinterpret to believe (as a child) that everyone else was more important than me. This isn’t a biblical post so I’m not going to get into what the lesson really was meant to be. What matters is what I learnt. Anyone on this planet was more important than me and I had to put their needs first. It’s just a shame that no one realised how wrong I had got this. While I’ve now learnt that I matter and that I need to take care of myself, the damage was done and in spite of many hours therapy, and many hours talking to the person who taught me as a child, if I’m not careful I still find my thoughts going back to putting everybody else first. It’s nothing to do with selflessness either. Just me not realising that my needs mattered. Actually the line I learnt (from a Sunday School song) was “Jesus first, Yourself last and Others in between”. It spelt J-O-Y and I was under the impression that I would be happy if I put myself last. It is still very firmly stuck in my mind, and I have to consciously change my thinking. It’s really no wonder that I ended up deeply depressed years later. So today when the question “Who’s going to look after me?” came through the telephone I had to consciously stop myself from leaping to look after her. I had to put my needs first, and I know that if I hadn’t it would be longer before I could be back to her. Maybe it seems so simple, and I know there have been a few therapists in my time who didn’t seem to understand how much I had this stuck in my mind. I guess when I learnt this as a child, even though I got it wrong, I held onto it. Tight. So much so that many years later, it is a constant battle in my head to change that almost automatic thinking. Today I’m looking after me. Tomorrow I will be too. And for the third person in this post? I left her with a few ideas of how she could care for herself today. I’d finger paint more, and point the finger less. I’d do less correcting, and more connecting. I’d take my eyes off my watch, and watch with my eyes. I would care to know less, and know to care more. I’d take more hikes and fly more kites. I’d stop playing serious, and seriously play. I’d run through more fields, and gaze at more stars. I’d do more hugging, and less tugging. I would be firm less often, and affirm much more. I’d build self esteem first, and the house later. For a while now this song has been going around in my head. My head has been going around in circles. It’s getting tiring. I just want it to stop. I just want some clarity about what do I do now. “Oh, Delilah Blue, what do we do now? What do we do now? There is a growing amount of stress in my mind. It’s caused by a number of things. Health, wealth (or absence of it), family, oh and let’s not forget life in general. Admittedly the first three are perhaps giving the biggest stress, and then because the stress grows inside my head, it eventually becomes a case of everything. Everything has my head turning in circles, and it don’t feel too good. It’s time to take some action on the things that I still have a little control over. Maybe that will make the uncontrollable things seem less daunting. Some of you might know that I started another blog recently. If you didn’t know, it’s just that I hadn’t got to you yet. For those that did know, the blog no longer exists. I quickly realised that it wasn’t going to serve the needs I had. Everything is now gone, so if you missed my most recent posts there, then you’ve missed. Apologies if you think I messed you around. That wasn’t my intention. It’s just sometimes it’s easy to see that “this ain’t going to work“. It didn’t. 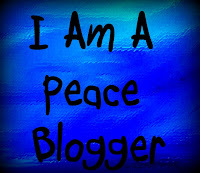 For those of you who didn’t know I started a new blog, life goes on as it was. In time, I may (or then again, may not) publish the material from there on here. Meanwhile I’m still answering my question “what do we do now?“. Back to the real purpose of this post though. There’s one thing I really hate and that’s not being in control. I spent years with an eating disorder all about that issue. I couldn’t control aspects of my life so I chose to control how little food I put in my mouth and how many hours exercise I did each day. So I know control has the potential to bite me (excuse the pun). Not just on food though, I know it has the potential to destroy me… if I let it. I seem to have little control over my physical health right now. I have got into a pattern of going from (fibromyalgia) flare to flare, with nothing in between. Where are the good days? They don’t happen and still having not resolved the issue of pain medication, it isn’t fun and it’s doing my head in. Wealth? Well most of us have that issue don’t we? Especially if having to rely on government welfare. Especially having to face medical costs. I guess I find winter even harder for the wealth issue, thanks for power bills. A house that constantly leaks warm air (thanks for earthquake damage) is not helping. I seriously considered this week shifting myself entirely into just one room of the house. Impractical as it was, I was reminded of a children’s story I loved when growing up. The main character broke her back and was shifted, bed and all, into the family lounge so that she could be part of the family. Considering this for myself left me unsure whether I wanted to laugh or cry. Anyway, I didn’t do it. And as for family? Sometimes, and more often than not right now, I feel exceptionally helpless. I can watch but can do so little. This week I have felt incredibly alone with this burden. Loving someone but not being able to make it better, hurts like hell. And it seems like when I’m not there because of my own health, their health suffers too. It’s a lonely road, and I know there are few answers that I can actually make happen. I just have to be there, and often that’s harder than anything. I guess my family had to watch me fade from their eyes for what was a very long time (thankfully I eventually came back). I think what I feel now is a little like that. Watching someone fade. Today is day two of my latest fibromyalgia flare. There seems to be less and less space between one flare to the next. Actually I’d go so far as to suggest that I have had a bad case of brain fog (it usually partners a flare) for at least a month. I am shamed to admit that the other day I couldn’t do a three-year old’s jigsaw puzzle for the life of me. My niece, L was keen for me to ‘participate’. I realised quickly that what she was after was for me to do the puzzle and she would ‘assist’. Hmm. The only problem with her plan was that I had absolutely no clue what I was doing. My brain was out to lunch. Eventually L’s father, who was watching this, came to my rescue. Brothers are so good… when they want to be. Anyway he had the puzzle sorted in a matter of moments and while I quietly swore at brain fog, I was equally glad that L’s teenaged brothers hadn’t arrived home from school yet. They would have loved that Aunty Cate couldn’t do a three-year old’s puzzle. They laugh enough when they have to show me how to use my phone. If it’s not too late I might have to take out a confidentiality contract with L and her Dad. But back to the flare. I’m used to these. More often than not they spring up unannounced and unwelcome when there is something going on in my head. No wonder I get fog, there’s simply not enough space in my head. Today has been Mothers Day here, and I admit it is always a difficult day for me. Last year I skipped the issue by being on the other side of the planet. Not so easy this year. I’m not a mother. Never have been, never will be. Aside from pets and the odd ( not that odd) teddy bear. And don’t think I’m somehow mourning for the mother I am not. I’m not. I am perfectly satisfied with having opted not to have children. Actually I am relieved I saw sense at another time when my brain simply wasn’t working. What is difficult for me is my own relationship with my mother. Out of respect for her, I’m not going to go into details except to say that we have always had a difficult relationship. We have impacted each other’s lives in ways we probably didn’t intend and possibly regret. At this stage it is something that I don’t expect we can ever resolve for a number of reasons. It just is. Actually my mother, at 86, relies on me a lot now. A situation I would never have imagined, but then sometimes life has surprises for us along the way. I am the person she most relies on, and just as that’s not easy for me, I don’t imagine for one instance that it is easy for her either. We simply go on from day to day, doing what has to be done. Personally I think that is more important than grand gestures. But I draw the line at Mothers Day. It’s not the occasion itself but more the hype. As we fill lives and screens with pink sparkly images of perfection… Me? I cringe. Perfection is not always what is real, and it seems to me that we are more able to accept that not every father is perfect than every mother being less than the ideal. The hype, drummed up by marketers usually, ignores what is real. I don’t in any way want to be critical of any mother, including mine. I simply think we need to be real. Mothers Day for me today meant picking my mother up after her church service, as I always do, and then back to her home for a shared lunch. Mothers Day wasn’t mentioned. If that makes me a cruel, heartless daughter, then so be it. The cost, of course, for me bas been this latest flare. The rest of the day has been spent in bed in a lot of pain. I hope it will ease tomorrow. Remember my post Lucy In The Sound Dome With Diamonds from just over a month ago? Lucy (that’s me!) was waiting to see a specialist after being told she probably had a tumour being played out in music hallucinations. Yes, that’s right, a tumour on either my ear drum or my brain. I had a whole list of other symptoms which I had no idea whether or not they were connected. Thanks to one of my brothers I finally found a way to be seen by a specialist. This specialist was an Otolaryngologist (I can’t even say that, let alone spell it! ), which means a Head and Neck Surgeon, including the better known Ear, Nose and Throat. I admit that the night before my appointment I was perusing websites selling hats. I had, by the time I had nearly three months of hallucinations, convinced myself that I was going to need surgery and what’s more I was going to lose my hair. All of my hair. The good news is I’m not losing my hair, but I have decided that hats would be a good look for winter (fast approaching) anyway. Instead of answering the question I desperately wanted to know, the specialist started off on what I thought were the minor but annoying symptoms – dizziness, nausea, loss of balance not to mention more dizziness again. I could hardly stand up straight. By looking at my eyes (it’s a while since anyone has been looking into my eyes! He had to stand on his tip toes to do so.) while dizziness was induced, he could apparently tell that something was going on with my ears that usually happens after brain injury. No brain injury here and he couldn’t tell why it had happened to me. He simply manipulated my head in all sorts of strange directions and sent me into a spin like no spin has ever been. I admit I swore… the room was spinning so fast. He ignored my colourful language and insisted that I keep my head where he’d left it for another 20 seconds. Easy for him to say. …and apparently it was fixed, as long as I slept half sitting up for a couple of nights. But onto the important stuff. The supposed tumour. He had an old MRI from a few years ago which apparently told him I was tumour free. It’s still beyond me how an old MRI can tell him how I am now, but the fact that I didn’t have to fork out for another MRI was good. And he gave every impression of knowing what he was talking about. He seemed to be one of those doctors who are very knowledgeable but a lacked a little in terms of sharing that knowledge with the patient. Actually he appeared to be getting tired of my questions, but for the money I was paying why shouldn’t I ask a question or six? That’s the good news anyway, and don’t get me wrong I am very happy to be tumour free. But the bad news now. It may seem like there could be no bad news. After all, tumour-free is fantastic. But I still needed an answer as to what was causing the music blaring in my ears most hours of the day. It might not sound that bad to you, but it is like a form of torture and my biggest fear was that I would be told I just had to live with it… forever. The music hallucinations are apparently being caused as a side effect of the pain medication I use for Fibromyalgia. It has taken two years to find a medication I could use (in this case, Codeine), and now I can’t use it. What’s more he was quick to add that the only other pain medication I had been able to use (Tramadol) is also likely to cause the same side effect. In other words, I can’t use either. Understandably the specialist wasn’t an expert on pain and so has sent me back to my usual doctor to work out what I do now, but it looks very much like I am back to only being able to use over-the-counter medication, which does nothing. Lucy is not happy. Do I want pain? Or music? That might seem easy, but I don’t want either. Maybe I’m expecting too much. At least I don’t have a tumour. At least I am not going to lose my hair. But nor am I going to lose the pain or the music. But hey, I bought a couple of hats! About a month ago I saw my doctor, a General Practitioner. It was just a routine appointment, although it quickly went from routine to fascinating when he said he had been wanting to talk to me. The result was that after two long years of debating with him my need for adequate pain medication, he finally agreed to prescribe some. He had previously refused, in spite of acknowledging the level of pain I was experiencing from fibromyalgia, because he believed that my history of mental illness would mean that I would get addicted to the stuff and my mental health would suffer. One of my arguments was that my mental health was suffering already as a result of the pain I was in on a daily basis. For some reason unknown to me that argument seemed to count for nothing to him. It seemed that he didn’t accept it and so was only prepared to let me use over-the-counter medications. The problem with those is that they did nothing to relieve the pain, perhaps because they are designed to treat a different kind of pain. Our argument went on over the months. When I felt I had some fight in me I would raise the issue, but basically he was quite clear that he would never prescribe anything stronger and more appropriate. Let me say at this point (in case you’re wondering) the easy thing to do would have been to change my doctor. For me though, that has some difficulties related to my past experiences of doctors. More about that in a future post… when I’m feeling brave. In the meantime, what changed my doctor’s mind? It seems he felt a little backed into a corner. At an earlier appointment he had arranged for me to have some short-term counselling to deal with a specific unrelated issue that had been affecting my state of mind. It was only to be six sessions, which always seemed too short, but it was free and it was available. I had no other options and so I took up the offer. I had seen the counsellor twice when I went to my doctor a month ago. That was what my doctor wanted to talk about. He proceeded to read out to me word-for-word something I had said to the counsellor, on my second visit, about my doctor’s refusal to treat me with pain medication. I was totally gobsmacked to find that the counsellor was giving my doctor a written report of my counselling sessions. This was not something I had been told about, nor had I given permission for him to share the details of my sessions with anyone. That was the end of the counselling sessions. I guard my privacy carefully and I expect that when speaking to a counsellor or therapist that what I say will remain confidential. I accept that if I am at risk of hurting either myself or someone else then the counsellor may have to call in emergency services but I could never accept that my doctor needed to hear word-for-word what I said when I was no where near being in a crisis state. Well that might have been the end of the counselling, but for some reason (he didn’t explain) my doctor didn’t appreciate what I had said to the counsellor, gave me a small lecture about “keeping secrets from him” (really?) and then handed me a prescription for medication to treat severe pain. Weird. It’s like he knew he was discriminating against me and was waiting to see how long he could get away with it. I finally had my prescription! Yay! The only problem is that a month on I declare it totally useless for me. If my body is anywhere close to horizontal, the medication will put me to sleep (which is one way of dealing with pain) but it does absolutely nothing to take away the pain. Actually if anything the pain has been worse in the past couple of weeks. I wonder is he just giving me sugar pills (unlikely, I hope) or just a very small dose? This coming week I will be going back to my doctor to keep fighting. I have tried that drug but now I need another. The fight goes on. Gotta love doctors (and counsellors) like him. It’s been a while… well, it has been a while for me since I wrote. In my last post, I commented that I thought I had turned a corner, and I firmly believe that in that I have gained a whole lot of peace that has been missing from my life for months. It doesn’t mean all the hurts are healed by any means, but it does mean that I can start to move forward. That said, I stopped writing because I have simply been lost for words. I still am, but I’m trying to pull a few words together because for some people I owe them an explanation for my silence and absence. I know that I’m not doing a good job as a friend right now, because I guess I have cut myself off and withdrawn into my own world. There are a number of reasons for that, some of which I have a better understanding of than others. Firstly, fibromyalgia. One of the symptoms of my fibro is my inability to recall the words I want to use in conversation. It applies to writing too but it simply takes longer, but for a conversation I am constantly struggling to come up with the words I want. There is a technical name for that, but I admit I can’t for the life of me remember. Ironic, isn’t it? But it’s just a label. It’s also something that is common for fibro sufferers although everyone’s symptoms are different, and so not everyone will struggle with it. It is good when I have someone with me who knows me well. They can help me find the words I want, but usually I just look, and sound like I’m old before my time and my memory has gone, or just completely dumb. My memory hasn’t gone, and I’m not dumb. It’s simply about the brain processing information. I admit that I get frustrated with it when it is particularly bad, and so I withdraw. Any form of communication becomes frustrating. It’s easier just to not go there. But there’s another reason for my withdrawal, one which I don’t fully understand but that I’ve seen myself go through before. This past year has seen a lot of hurt for me. I haven’t been treated as well as I would like at times, and because of it, I have struggled to trust. The more I got hurt, the more I withdrew because I simply didn’t want to be hurt again. It gets out of control when I don’t know who to trust, even my close friends. When the scared part of me shuts them out, as I have done, I know that I’m in problems. It’s just that acknowledging the problem is one thing, but changing the behaviour is another. It’s not that I don’t trust my friends, but it’s more that I don’t trust the world as a whole, and my friends get caught in the way. I’m sorry. I have written in the past about Ted (see Real), and in this situation he becomes all that I trust. He becomes my world because I know he won’t hurt me. I said to myself a few months back that I wasn’t ever going to write about Ted again because the risk I took in my honesty about a very vulnerable part of my life was abused. But if you don’t get anything to do with Ted, then you won’t get me. Ted is, in part imaginary, as well as in part real. It’s confusing, I know. Over a long period of time he has been my way of coping with the world. When the world gets too much, I withdraw back to him. Withdrawn is not a place I want to stay but if you haven’t heard from me, if I haven’t replied to messages, if I haven’t commented on your posts… this is why. I’m trying to learn to be a part of the world, a human, a trusting human again. I have got some peace, but now I need trust. Please bear with me in the meantime.